Vijayawada, 18 August 2016: Anna Prasadam distribution for the Krishna Pushkaram devotees at locations has been a major hit. While devotees accept food and snack packets as ‘Prasadam” of Lord Venkateswara, the Srivari Sevaks are engaged in their distribution as part of service to God and with love and affection. 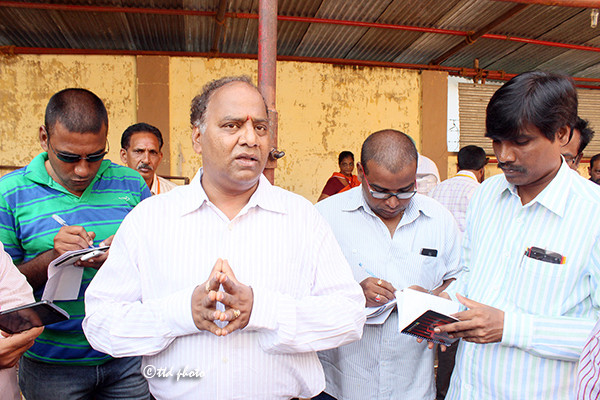 The TTD JEO Sri KS Sreenivasa Raju reviewed the massive operation of anna prasadam at the Krishna Pushkaram for devotees and said that it was heartening that nearly one lakh devotees were served every day. 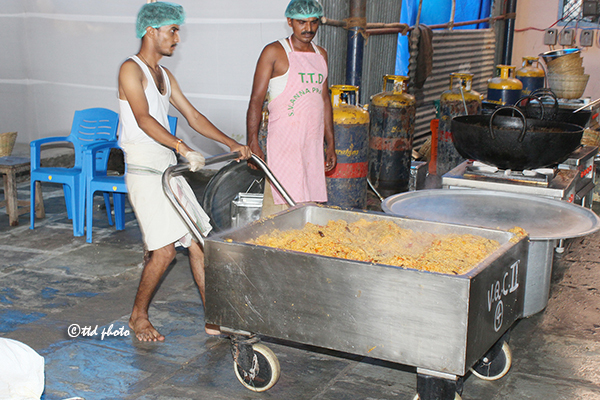 Anna Prasadam production and distribution is part of the TTD involvement in the efforts to facilitate the massive crowd of devotees that come for Krishna Pushkaram. TTD has also set up a model Srivari temple at the PWD grounds at Vijayawada to show case the daily rituals performed at Tirumala and also provide the devotees a glimpse of the massive charitable and socio economic activities of the TTD through photo exhibitions, museum display and also an colourful and bright exhibition of fruits and flowers with a mythological and technology aided equipments. 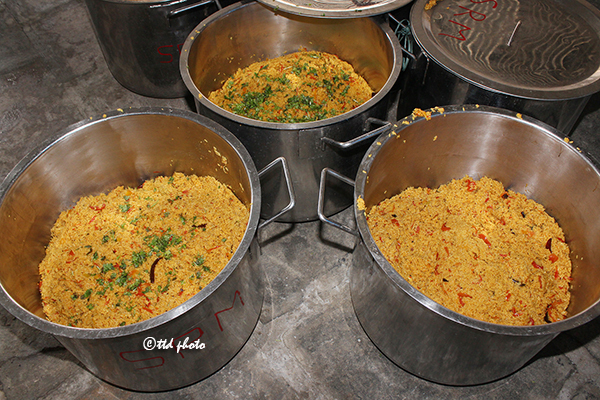 It may recalled that on the advise of chief minister Sri Nara Chandrababu Naidu the TTD Board led by Dr Chadalawada Krishnamurthy and EO Dr D Sambasiva Rao directed Sri KS Sreenivasa Raju, the JEO to supervise and organise the massive Anna Prasadam production and distribution for the entire period of Krishna Pushkaram at all major ghats in the Kurnool, Guntur, Srikakulam and Krishna districts. 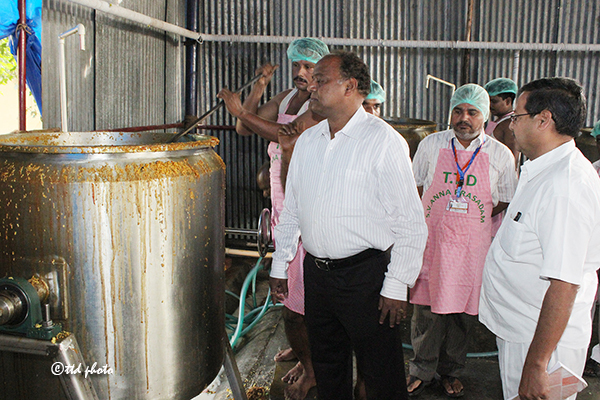 A special kitchen, store room and cooking equipments were set up at the TTD Kalyana mandapam with 16 steam rice vessels of 300 litres capacity, 2 boilers of 600 litres and 4 units of 400 litre boilers and hundreds of vessels with tops for transport of cooked material. 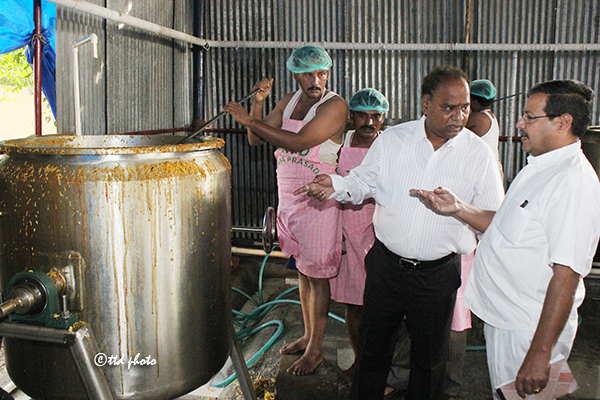 Cooking is done in a complete clean and healthy environment and is being supervised and reviewed by JEO and OSD of Krishna Pushkaram Sri Rama Rao. 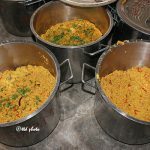 The daily menu of Pongal-chutney, Upma-chutney and tomato rice has become a hot favourite of all devotees. 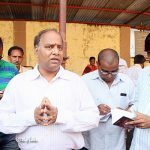 The prasadams were served to devotees in specially designed paper bowls and even some of local food vendors had been aping the same menu and designs to attract the Pushkara devotees. 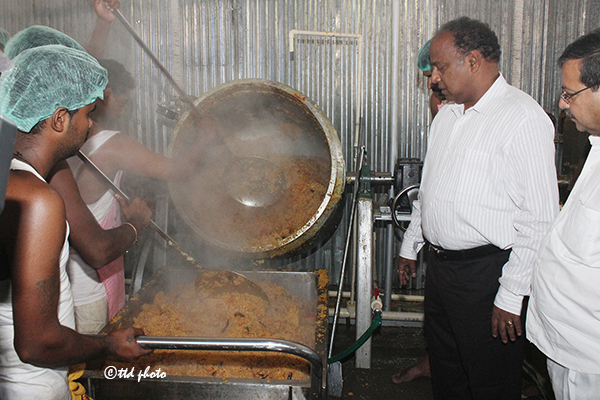 Vegetables are donated by some local merchants while rice and other cooking material is procured by the TTD Annaprasadam department. On the directions of TTD Executive Officer, a separate lab is also set up to frequently check the quality of anna prasadams which are given to devotees only after clearance from the quality inspectors. 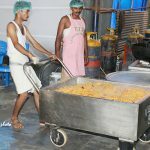 ‘The cooks, transporters and servers are working on a 24×7 basis in three shifts’ said the JEO. He said the anna prasadams were primarily distributed at nine centres across the Krishna Puskaram ghats so that all devotees could be reached in time . Promiment among them were Vijayawada Railway station, YVR estates, Vuda park, RTC bus stand, Seethammavari padalu. In Guntur at Railway station (Krishna canal), Rythym Open theatre, AIMS, Model dairy (Kolanukonda highway). 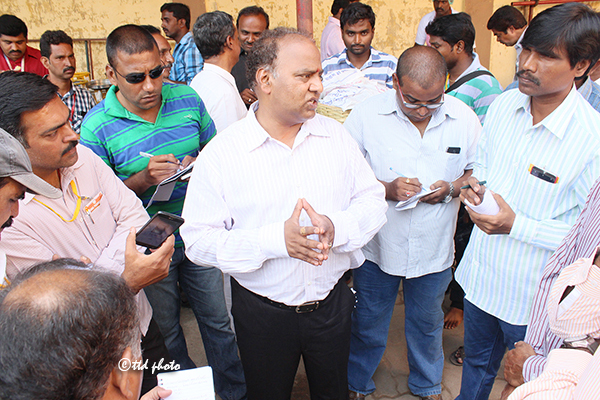 Speaking to reporters at the TTD Kalyana mandapams after the review meeting Sri KS Raju said anticipating large crowds in view of the Sravana Pournami day an addition distribution centre has been set up at Sethamma padalu to feed an additional 22,000 devotees. He said every day 100 cooks are engaged for preparing anna prasadams. 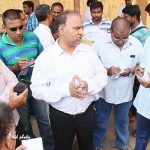 6000 kgs of rice, 1100 kgs of rava, 840 litres of sunflower oil ,200 kgs of ghee, 200 kgs of cashew nuts, 1000 kgs of variety of dals, and 2000 kgs of tomato were utilised every day. Among others TTD SE Sri Sudhakar Rao, EEs Sri Nageswara Rao, Sri Narasimhamurthy, Catering officer Sri Shastri, Deputy EO Sri Rajendrudu participated in the event.